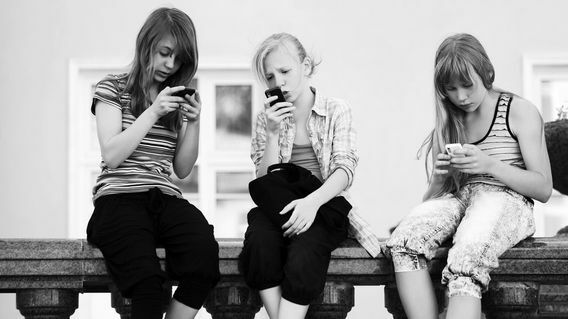 You’ve probably noticed just how universal mobile phone use has become among young people. It seems that you rarely, if ever, see a kid outside of school without a phone securely attached to their ear or without their gaze squarely fixed on a screen, with thumbs feverishly tapping away on the device. In a common scene, a group of 11 year old girls recently provided proof of this as they visited a theater to watch a movie. Upon exiting, it took less than four seconds for all of them to be focused on their phones…two of them texting each other from a distance of no more than ten feet. Members of older generations lament this reality, however, how often do we think about our own use of mobile technology? Clearly, these devices have an incredible up-side. In many ways they improve our communications, make our tasks easier, and provide positive entertainment for users. When we stop to think about it though, we realize that we are in the midst of a grand experiment regarding mobile technology and no one knows for sure what the outcomes will be. What will society look like after 30 or 40 years of mobile phone and tablet use? Moreover, how can careless use of such devices affect our souls? It is as if in that moment, when we say “hang on,” we are placing our companion on an imaginary branch at the edge of a cliff, left there to hang until we deem them worthy of our returned attention. Unfortunately, the unspoken message that we send to these people around us is that whoever or whatever is on the other end of that remote communication is more important they are. It could be argued that such behavior is simply rude and should be avoided, but when we think about it in the context of interpersonal relationships we see that it can be far more damaging. As Orthodox Christians as well, we recognize that each individual is a living icon of Christ. Should we so easily press the pause button on our relationship with Him? The Pavlovian response we can have to our devices’ prompts is not the only serious concern for us: our use of mobile technology can also become addictive. Recent research has shown that the neurotransmitter dopamine is released in the pleasure centers of our brains when we use our phones and tablets. The combination of light, sound, information, and the ability to interact by responding, causes us to experience neurochemical reactions which over time can become habit forming. Evidence of this is seen when we routinely “check” our phones without the familiar “buzz or ping” that notifies us of an incoming message. If not guilty ourselves, we can each easily think of a family member or friend who finds it difficult to spend much time without their phone in use, in hand, or at the very least, nearby. In just this superficial way we can see some level of addiction. While it may look far less harmful than other types of addiction, it is nonetheless a relinquishing of our God-given free will to an object of our creation. We can easily see the effects of extreme scenarios, such as auto accidents which occur as a result of texting while driving. The more subtle consequences of using mobile technology are far less noticeable, though no less real. For this reason, in our spiritual journey in Christ, and as members of His Body the Church, it is important that we are aware that these effects do exist. Moreover, it is imperative that we actively discipline ourselves in our use of devices so that we might benefit from their advantages without succumbing to the potential danger posed by our technology. Dn. 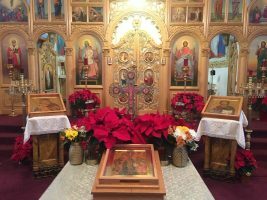 Paul Zaharas is the Director of Youth and Young Adult Ministries for the Greek Orthodox Metropolis of Denver, a position he has held since 2000. 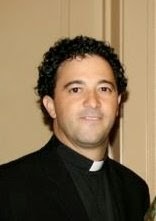 Likewise, he serves as camp director for the Camp Emmanuel Orthodox Summer Camping Program. 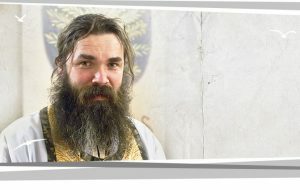 He is a member of the Board of Directors for Orthodox Christian Fellowship and the Saint Nektarios Education Fund. Dn. Paul was ordained in 2002 and lives in Littleton, Colorado with his wife Celia and children Kiki, Maximos, and Titus.